Cast Size: Male: 6 Female: 8 Ensemble: Massive, at least 20 Total Cast Size: At least 34, closer to 40. Recordings: Numerous. The original Broadway is fine, but incomplete. The concert version with Carol Burnett, Barbara Cooks and others is more complete. The 2012 revival is more thorough than the original, as well. I love the concert version, the audience is going crazy. Film: The concert version is available. It is not the show, but rather an all-star presentation of the songs. Awards:The original Broadway production was nominated for 11 Tony Awards and won 7, including Best Score for Sondheim, and Best Direction for Prince and Bennett. This is a MASSIVE show, and because it is what it is, it cannot be done small very effectively. That means the show will work for very large professional companies, some colleges and universities, on Broadway and the West End, and perhaps it could be done by some opera companies interested in a piece like this one. This is a MASSIVE show. It requires a large number of mature actors to pull off. The costuming requirements are significant. The score is difficult to play and learn. In short – not for everyone. Additionally, it’s a very unusual show. Musical Theater lovers love Follies. I’ve never been convinced that general audiences do. It’s a look-through-the-keyhole at the lives of show people well past their primes. It’s gorgeous, but not for everyone. An old, dusty curtain rises to the sound of soft timpani; the stage of a large, long-unused theater becomes visible. A tall, pale ghostly SHOWGIRL, dressed in black and white, starts to move slowly. Another ghostly SHOWGIRL, also dressed in black and white, enters and begins to walk slowly as the MAJOR-DOMO rushes onstage, followed by WAITERS and WAITRESSES carrying trays of glasses and party equipment. The Waiters and Waitresses move offstage as six CHORUS GIRLS, also dressed in black and white, become visible, dancing in slow motion and silently moving their mouths as if singing. As Waiters and Waitresses bustle around the unseen ghosts, four MUSICIANS enter with their instruments and move to a platform on the stage. SALLY DURANT PLUMMER, a 49 year-old former showgirl, rushes in, worried she might be the first to arrive. One of the ghostly showgirls, YOUNG SALLY, moves toward her; Sally doesn’t see any of the ghosts. A Waitress hands her a silk sash. The other party guests, former showgirls, chorus girls and their husbands and dates, ranging in age from their 50s to their 80s, arrive and move past the ghosts, as the music changes into a pastiche of 1920s and 1930s tunes. BEN and PHYLLIS STONE arrive; YOUNG PHYLLIS, another of the ghostly chorus girls, moves toward Phyllis. Sally’s husband, BUDDY PLUMMER, arrives and begins asking for Sally. DIMITRI WEISSMAN introduces himself to the guests (and the audience) by announcing that in the years between World War I and World War II he produced The Weissman Follies in this theatre, which is to be demolished in order to build a parking lot. He welcomes the guests to this gathering, the first and last reunion of The Weissman Follies. He asks ROSCOE, an elderly man in top hat and tails, to sing the song which will bring on the former Weissman Girls one last time (“Beautiful Girls”). Each of the ladies, wearing a sash with the date of her Follies year marked in gold, makes a grand entrance down the Follies stairs as Roscoe sings; they parade across the stage. Buddy finds Sally when the song ends; she is worried he might be upset with her for taking an earlier flight. As they talk, a couple begins to dance. STELLA and MAX DEEMS talk to Weissman about their careers as radio performers. Ben and Phyllis talk to HATTIE WALKER, a tough seventy-year-old former Weissman Girl. Ben gives her an autograph for her grandson. Phyllis has watched Ben and Hattie, and after Hattie leaves, Phyllis tells Ben how she admires Ben’s charm with women. SOLANGE LA FITTE, another former Weissman Girl now in her mid-sixties, tells Weissman about her new perfume lines. Sally begins speaking to Weissman, who doesn’t seem to remember who she is. As she begins recalling other faces in the crowd, Phyllis sees Sally. Phyllis calls out to Sally; at the same moment Young Phyllis and Young Sally race excitedly down the stairs, busily making the final adjustments to their Follies costumes before their entrances. The present-day Sally at first stares blankly at Phyllis. After Phyllis asks her name again, Sally tells Phyllis that Phyllis looks so regal, she can’t hug her. As Phyllis embraces Sally, their younger selves race back up the stairs. Phyllis and Sally talk about the apartment they used to share, and ask about each other’s husbands. Sally asks if Ben is still in Europe with the UN. Phyllis mentions Ben is at the party, and the two exit as Hattie Walker muses how she has outlived five husbands. Ben and Buddy sit on some rubble and discuss the past; when Buddy asks about Ben’s life with Phyllis, Young Buddy and Young Ben appear. Young Buddy tells Young Ben he has arranged a date for Ben with Sally’s roommate, Phyllis, a nice though lonely girl. Back in the present, Buddy and Ben continue their talk; both of them mention they’ve stopped playing around with other women. A waitress walks by; Buddy makes a pass at her and follows her offstage. As Buddy exits, VINCENT and VANESSA, an elegant couple in their late fifties, dance into view; they explain that after their Follies years they bought an Arthur Murray dancing school franchise. HEIDI SCHILLER, who is now in her eighties, claims the Viennese waltz being played by the band was written for her by Franz Lehar. Or was it Oscar Straus? We see Ben as he is recognized by CARLOTTA CAMPION, a one-time movie star. They talk briefly and as Carlotta moves off, Sally approaches, sees Ben and gasps. As she says his name, Young Sally appears; she is dressed in a street coat and is demanding Ben look at her and give her an explanation. The past fades as Sally nervously tells Ben not to look at her yet (“Don’t Look at Me”). Ben remembers Sally’s endearing habits, and the two of them sing about how they’ve aged. As they go off to get drinks, Carlotta returns to complain about how the men she meets always want to tell her their life stories, but never seem interested in hearing hers. Buddy and Phyllis are dancing and fondly recalling the past. Ben and Sally are dancing nearby; Sally is explaining how she always felt inferior to Phyllis. Buddy asks Phyllis if she remembers all the fun times the four of them had; when Phyllis remarks she has tried not to remember, Buddy recalls how he and Ben used to wait each night for the girls to come down from the theater. Sally and Ben join them as they recall the old days (“Waiting for the Girls Upstairs”). As they continue to reminisce, Young Sally and Young Phyllis come down the stairs to meet Young Ben and Young Buddy. The four young people argue about where to go for the evening, and they are joined by their older counterparts who relive the argument with their younger selves. Ben, Phyllis, Sally and Buddy finish the song, singing about how foolish they were back then. A photographer takes pictures of EMILY and THEODORE WHITMAN and WILLY WHEELER as they talk to Weissman, who is trying to impress a much younger Waitress. Suddenly, the Whitman’s perform a song from their act (“Rain on the Roof”); when they are finished Salonge La Fitte appears, singing one of her signature numbers (“Ah, Paris”). Hattie Walker then performs one of her Follies songs (“Broadway Baby”). Hattie, Salonge and the Whitmans all sing their numbers at the same time; the number ends with a blackout, and a ghostly showgirl moves across the stage as Ben and Sally enter. Ben tells Sally that even though his life as a diplomat is not as glamorous as she thinks, he feels he has a good, successful life; the important thing is knowing what you want. Ben never thinks of the options he ignored (“The Road You Didn’t Take”). Young Ben and Young Buddy appear. Young Buddy gives Young Ben the keys to his car and asks him if he has enough money for his date. Ben continues singing how he won’t remember the paths he didn’t choose, all the while remembering Young Ben taking Young Phyllis out on a date. When the song ends, Sally tells Ben she was in love with him when they were younger; they begin to dance. Buddy tells Phyllis that Sally and Ben make a lovely couple. After telling Phyllis more about his life with Sally, Buddy tells Phyllis that Sally is still in love with Ben. Phyllis tells him she used to suspect the same thing, but thought time had changed that situation. Young Phyllis and Young Ben appear; she is admiring the engagement ring he has just given her. She tells Young Ben she shall try to be a good wife. As the memory fades, Phyllis angrily tells Buddy life and maturity are all about making bargains. She tells him how the excitement with one of her ex-lovers passed with time, and how, at the end of the affair, she was still Mrs. Stone and had $30,000 worth of silver in her dining-room. When Buddy asks what happened to the young, innocent Phyllis, she tells him she has made her own choices and walks away. VINCENT and VANESSA appear and begin to dance one of their old routines, a tango (“Bolero D’Amour”); YOUNG VINCENT and YOUNG VANESSA and three other ghostly younger couples join in. Sally tells Ben about the many moves from city to city she and Buddy made before they settled in Phoenix, Arizona. Sally tells him the best part of life is knowing Buddy will always think Sally is young and beautiful (“In Buddy’s Eyes”). Young Sally, who is upset, rushes by, followed by Young Ben. She tells him she won’t continue seeing him after he has given a ring to Phyllis; Young Ben accepts this news, and he and Young Sally embrace as Sally continues the song. Sally and Ben begin to dance. Phyllis cuts in and draws Sally to the side. When Phyllis confronts her with Buddy’s news that Sally is still in love with Ben, Sally sweetly suggests Buddy is jealous. The band starts to play a song as Phyllis becomes more confrontational. Stella Deems enters and insists all the women join in to sing and dance to the song, an old Follies routine none of them has performed in years. After some protesting, all the women, including Phyllis and Sally, join Stella to sing about an unhappy woman who never knew real love (“Who’s That Woman?”). As the number continues, they are joined by their younger selves. When the number ends, Ben and Buddy rush up to congratulate Phyllis and Sally. Weissman announces the food is ready. The two couples separately reveal how troubled their marriages are. After Sally mentions Ben is unhappy living with Phyllis, Buddy tells Sally he’s decided to spend more time with her at home. Phyllis suddenly kisses Ben, but she is hurt by his unresponsiveness and she confronts him about the lack of honesty in their relationship. Sally confronts Buddy with her knowledge of Buddy’s relationship with Margie, a woman in Dallas. Phyllis expresses unhappiness with their marriage; when she accuses Ben of fooling around with other women, he acknowledges this before angrily walking away. Phyllis seduces one of the waiters. Carlotta Campion sings a number from an old Follies show; it is about a woman who has been around a long time and has survived all the good and bad things that have happened to her and as it progresses, the song seems to become more about Carlotta, rather then merely an old Follies number (“I’m Still Here”). Ben tells Sally he must have loved Phyllis at one time; their marriage was the only impulsive thing he ever did. Sally tells him he has always been afraid to feel things and urges him to close his eyes. Young Sally and Young Ben appear, half-dressed, and gazing at each other. Sally tells Ben all she thinks about is the time they were in love; Young Sally tells Young Ben how in love with him she is. Ben tells Sally he wishes he were 25 years-old again. Sally becomes lost in the memory as she and Young Sally tell Ben they will wait for him to return after the war. Ben opens his arms and Young Sally rushes to him as he lets himself feel how much he has wished he and Young Sally were still together (“Too Many Mornings”); Sally joins him in the song, which ends with Sally replacing Young Sally in Ben’s arms, as Young Sally and Young Ben walk off hand in hand. Sally and Ben kiss, and Ben tells Sally he wants to make love to her. When Sally asks Ben if they are getting married, Ben snaps back from his memory of the past, and awkwardly tells Sally whatever they had, it all happened in the past. At the same moment, Young Ben tells Young Sally there is no need for them to marry, and walks away from her. Sally ends up standing next to Young Sally, and tells Ben everything will be fine. Buddy has been asking himself why he stays with Sally; he contrasts his frustrations with Sally to his happiness when he is with Margie, who asks little of him (“The Right Girl”). He begins rehearsing a speech to end his marriage; Sally joins him and happily announces she and Ben are going to get married. Ben, now drunk, propositions Carlotta, with whom he once had a brief affair; she gently refuses as Heidi, joined by Young Heidi, appears to sing one of her old songs about the end of a love affair (“One More Kiss”). Phyllis, who has been off in a corner with a waiter, joins Ben, who tells her he wants to find real love again. When Ben tells her he wants her to leave him, Phyllis angrily lists all the reasons why she would leave him, but refuses to say if she will (“Could I Leave You?”). Ben, Phyllis, Sally and Buddy watch the innocence and idealism of their younger selves; the older people confront their younger selves and blame them for making choices which have left them unhappy. As this confrontation climaxes, drums roll, heavenly music is heard, trumpeters in Medieval costume appear and beautiful, young dancers dressed as Dresden Dolls and Cavaliers enter: Phyllis, Ben, Sally and Buddy are now in “Loveland.” As numerous Showgirls enter and walk the stage, the chorus describes Loveland as the place where lovers are always young and beautiful, and everyone lives only for love (“Loveland”). Young Ben and Young Phyllis dance on, dressed in bright costumes now, and sing a duet about how he will guarantee her happiness tomorrow (“You’re Gonna Love Tomorrow”); Phyllis and Ben follow them offstage. Young Buddy and Young Sally dance on and sing a song about how love will allow them to ignore each other’s irritating traits (“Love Will See Us Through”). Young Ben and Young Phyllis join them, and the two couples sing their songs together as Buddy and Sally exit. A show curtain drops at the end of the number. Buddy, dressed in the bright jacket, baggy pants and derby hat of a Follies clown, steps out from the curtain and sings of his true feelings and fears about love (“The God-Why-Don’t-You-Love-Me Blues”), as chorus girls dressed as caricatures of Sally and Margie flounce around the stage. Next, Sally, dressed in the elegant dress of a 1930s film star, sings a torch song about how she does nothing but think about her lover (“Losing My Mind”). At the end of Sally’s song Phyllis enters wearing a short red fringed dress; she sings about Lucy and Jessie, two unhappy women of completely opposite sensibilities who need to become one person to be happy (“The Story of Lucy and Jessie”). Lastly, Ben enters with chorus boys and girls; he sings of a sophisticated man-about-town who fends off his fears by living gaily (“Live, Laugh, Love”). However, Ben forgets his lyrics, and the song ends with him frantically justifying his choices to the chorus, which continues to sing and dance. The entire company returns to the stage, each reprising his or her own song in an ever-rising cacophony, which mirrors the terror gripping Ben. Finally, the noise subsides and the madness dissipates; we are back in the real world. Ben, Phyllis, Buddy and Sally are alone; we can see that the sun is beginning to rise. Phyllis and Ben gather themselves to go home, as Buddy helps an emotionally devastated Sally to her feet. As they leave the theatre, Young Buddy and Young Ben call up to Young Sally and Young Phyllis. As always, feel free to ignore or skip my opinions and rating. Just so long as you then take responsibility for your own follies. What can one say? One of the most interesting, impassioned, brilliant scores ever composed for a musical…and one of the most sprawling, out-of-control, messy books. To the score, first. The score is essentially a combination of two types of song. These are 1) modern Sondheim type numbers about modern people leading modern lives, and 2) Pastiche numbers imitating various composers and types of numbers that could have appeared in a Ziegfeld Follies. Sondheim demonstrates a mastery of both types of number that will probably never be equaled. One unforgettable number after another pile up to the point where you can hardly stand anymore. They are generally rather loosely tied to what is already a rather frazzled script, so the numbers can do as Sondheim wishes, and so they do. The modern numbers are often “interior” numbers, where a character introspects on their life and, um, follies. “The Road You Didn’t Take”, “Losing My Mind”, “The Right Girl”, “The God-Why-Don’t-You-Love-Me Blues”, and “Live, Laugh, Love” fit this form. Sometimes they are communicated to another character, as with “Don’t Look At Me” (a really charming piece, underrated), “Waiting Around For The Girls Upstairs” (as haunting a theatrical moment as there is in Musical Theater, in some ways), “In Buddy’s Eyes”, “I’m Still Here” (a show-stopper), “Too Many Mornings”, and “The Story of Lucy and Jessie”. Yet many of these project a feel for a period long gone, the 20s, the 30s, and the songwriters who so memorably filled the stages of the time with pieces we sing to this day. The straight pastiche pieces (and if you do not know that term, this is probably not a show you should be considering doing) include “Beautiful Girls”, “Montage” (“Rain on the Roof”/”Ah, Paris!”/”Broadway Baby”), “Bolero d’Amour”(often cut), “Who’s That Woman?”, “One More Kiss”, “Could I Leave You?”, “Loveland”, “You’re Gonna Love Tomorrow” / “Love Will See Us Through”, though really, most of the rest of the score can be put in this list. And who does Sondheim pay musical tribute to? Who doesn’t he pay tribute to? Berlin, Porter, the Gershwins, many others, and though Mr. Sondheim claims to dislike his work, Kurt Weill (“Saga of Jenny” – “The Story of Lucy and Jessie”). And what of the lyrics. They are brilliant, very brilliant, and astonishingly brilliant. 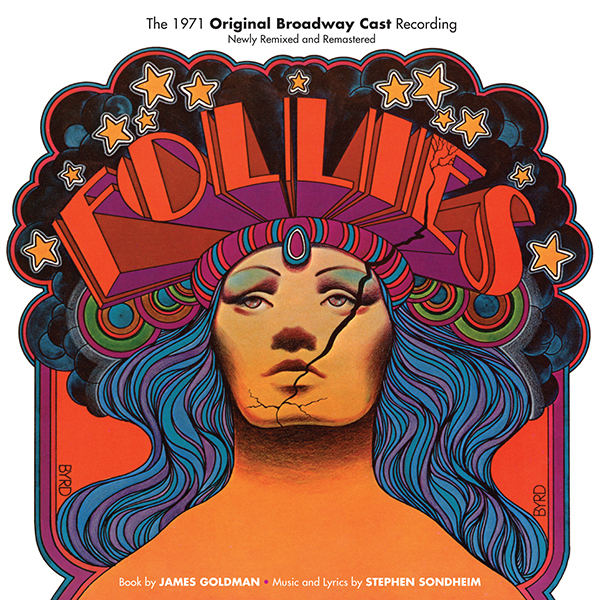 Follies offers not only one of the most memorable scores of the past 50 years, but it also provides (for the aware and knowledgeable) a sort of textbook of the history of show music. The lyrical work here is the epitome of professionalism. It simply cannot be done any better. Unfortunately, the same cannot be said for a book that sprawls over too many stories. The love triangle, er quadrangle, er pentagon, er… (Ben for Sally, Ben for Phyllis, Ben for Ben, Sally for Ben, Sally for Buddy, Buddy for Sally, Buddy for Margie…) is simply too much story for any show to carry. (And they suggest you do all this without an intermission? Don’t do it!) Add to this all the secondary tales, the interesting but highly sketchy views of old-timers who come on for a moment to relive their glory years and then fade with the spotlight, and it’s simply far too much of a sort-of good thing. None of the characters are really given enough time to get to know them in a way that we would be emotionally moved by their plight, so while we are deeply impressed, we are not really moved – and that is why this show gets two stars from me rather than three. Frankly, I’m not sure we even like these characters, they are not overly likable. This is a MASSIVE HUGE GIGANTIC show. The showgirls who haunt the stage and the memories of the characters are larger than life, tall, gorgeous, Ziegfeld girls in the requisite feathers and three-foot tall hats. And they are the symbol for the entire show. It is a celebration of excess in many ways – too many songs, too many stories, too many characters, too many costumes – too much of everything. It is so much fun to watch if you are a lover of Musicals, you can barely stay in your chair. Sometimes, you just have to stand up. It is exhilarating, yes, awesome, but not touching. This show will not work scaled down, and I think everyone know this. Without the orchestra, the sets, the costumes, the huge cast, the context for all these glorious songs will be non-existent. Even the score would suffer from the removal of a passionate sense of spectacle. I believe at the time this was the most expensive musical ever produced, but Mr. Prince said he could see every dime up on the stage, and hence, it was worth it. Yup, agreed. It is an unforgettable show when done right. But chilly. And honestly, as inspiring as the genius involved is – given a choice, I would rather watch The Fantasticks again. I like a musical, a play, a film, a song to be more than an intellectual experience, or even a visceral one. I like to be moved emotionally. Follies generally can’t accomplish that one thing. But WOW, so much glorious work! Are you kidding? Sondheim, largely pastiche. The score is very complex. A Musical Director working Follies MUST know old-time composers and their works backwards and forwards. The accompanist for rehearsals must be an exceptional musician, and play everything from Ravel-like waltzes ti Irving Berlin anthems very well indeed. The harmonies and son structures are rich and varied. This is one of the most difficult and important of all musical theater scores. Get an expert for your Musical Director, someone who is a really great musician, who plays very well, reads exceptionally well, and who understands ALL SORTS OF THEATRICAL STYLES…AS WELL AS WHO KNOWS HOW TO WORK WITH TRAINED, ALMOST OPERATIC VOICES, AS WELL AS AGING, PERHAPS UNTRAINED VOICES… AHHH!!!! Your Musical Director needs to be very good. If he’s not, consider doing some other show. Ben – Mature baritone, good at communicating a lyric and a cool, detached sense of emotion. Sally – Mezzo with a beautiful mid-register and some decent high notes, very strong emotional expression. Phyllis – Alto with a good belt, strong mid-register, good with rapid lyrics, good emotional expression, if cool. Buddy – Lyric baritone, excellent with a patter verse, good high notes, clean and well-supported mid-register. Carlotta – Alto with charisma, a strong mid-range, great with delivery of a lyric. Roscoe – A grand tenor, excellent high notes, very clear voice. Solange – Alto with strong French accent, a bit of a belt. Stella – Alto with a real belt. Hattie – Mezzo with a real gravelly, earthy belt. Young Ben – Lyric baritone/low tenor, youthful and clear voice, good at harmonizing. Young Sally – Youthful mezzo, good high notes, good at harmonizing. Young Phyllis – Youthful alto, clear, well-supported mid-register, good at harmonizing. Young Buddy – Young tenor, well-supported mid-range, good at harmonizing. Ensemble – Various roles, mostly elderly. All must sing well, harmonize well. As you can see, the show was co-directed by Michael Bennett, one of the finest director/choreographers in Broadway history. The means that Mr. Prince realized movement would need to be wedded into the staging very carefully, and as usual, right he was. The show must feel like a runaway Ziegfeld Follies, ghosts of the character’s past watching on and occasionally intersecting with the lives of the living. The audience must be ever reminded of the larger-than-life “Wiseman girls”, the show biz approach to life. Characters sing and dance out their feelings borrowing heavily from old musical comedy forms. Elderly lines of women tap dance as the ghosts of their younger selves do the same and show them up, a hat-and-cane number turns into the display of a man being ripped apart by his love of two women, and on and on. There is plenty to choreograph here, and the show requires real expertise in this area. The Choreographer is likely to stage at least “Beautiful Girls”, “Waiting for the Girls Upstairs”, “Montage” (“Rain on the Roof”/”Ah, Paris!”/”Broadway Baby”), “Bolero d’Amour” (often cut), “Who’s That Woman?”, “The Right Girl”, “Loveland”, “You’re Gonna Love Tomorrow” / “Love Will See Us Through”, “The God-Why-Don’t-You-Love-Me Blues”, “Live, Laugh, Love” , and “Chaos”. The styles and dance forms to be used will vary widely, but borrow heavily from the Follies and Musical Comedy of the 1920s-30s. It is imperative that your choreographer know these forms well, and can work with them to bring to the top the psychological turmoil within the characters, using these old dance types to do it. A heady task! “Beautiful Girls” is like “A Pretty Girl Is Like A Melody”, the Irving Berlin stock opening to the Ziegfeld Follies. A tenor sings as larger-than-life girls (chorus girls, in this case, each six feet tall and wearing those huge hats…) parade slowly down a flight of stairs and onto a runway or the front of the stage. As Roscoe sings, “hats off, here they come those beautiful girls.” They are a fantasy, they never existed except on stage, dressed in preposterous gaudery, demonstrating ludicrous pulchritudinosity. (Yup, some of those words were made up. Live with it.) The costumes are as much on display as the girls, by the way. An unearthly, stately, slow strut, arms outstretched to the sides much of the time. (You can still see this sort of thing sometimes in Vegas.) The number is the entrance point into a world that never really existed, one of fantastic beauties and entertainments…where all is possible. As always, I’d have the mature, aging performers more involved than most productions do. Have them watch, mortified at what they no longer are, moved in ways only their lives and experience could explain. “Waiting For The Girls Upstairs” is a story number, and the plotting must be clear throughout. We see the older quartet of leads start to recall their youthful days in the Wiseman show…and then, we see them as they were, young, self-involved (which hasn’t really changed much), rushing headlong into life. It is a number ripe with nostalgia, lightly dusted with a sense of loss and whimsical regret. The quartet usually remains on the stage floor as the piece plays out in the dressing rooms upstairs, and as the boys wait at the bottom of the stairs. BUT I think it would be far more interesting to split the oldsters up and have them weave in to the action, staring at what they were with shock and delight and sorrow. Their reactions throughout would be far more valuable to the audience than watching the youngsters alone go at their relationships and life. And if the oldsters weave in, then exactly who are the ghosts? (Probably why they did not do it – avoiding confusion. But that can’t be entirely avoided with this script, and I think that the gains of this approach emotionally would be well worthwhile. It would even help earn sympathy for the oldsters, very important if we’re ever to be moved by the show.) This is NOT a “dance” number, but needs dance-like staging, almost like a show-biz ballet. The “Montage” (“Rain on the Roof”/”Ah, Paris!”/”Broadway Baby”) consists of three Follies numbers, now performed by oldsters strutting their last stuff. The first could use a cute, light Musical Comedy staging for the man and woman, with a lot of clever give and take between them, uniting their choreography into a single entertainment. “Ah, Paris” should be, well, Parisian, but does not need choreography, really, as it is a solo. Just give her some French moves, maybe a flag… “Broadway Baby” is a great number, another solo where an elderly woman struts and takes a strong stance, and eats the furniture. She must be aggressive in movement and performance, but again, no dance. “Bolero d’ Amour” is usually cut. I have not seen it. I would imagine it’s a bolero of love. So, Spanish dance as reinvented by musical theater in the 30s. “Who’s That Woman’ relies on a staging device to work. It presents a lineup of older women who once formed a sort of chorus line of stars in the Follies. Only there is a hole in the line. One of the women died a while ago. They are old, now. As they start this number, we also see a line of their younger selves, the hole now filled. This is a TAP NUMBER for a lot of 50-70 year olds, to be performed with youth and vigor at the same time by their younger selves. This is a large choreographic assignment. “The Right Girl” shows us Buddy running headlong between two women in his life, his wife and mistress. It does not paint a lovely view of any of them. Buddy is the focus, and cannot make up his mind, as we (unfortunately) see it all again in “The God-Why-Don’t-You-Love-Me Blues”. The second is the better number, and I know it’s sacrilege, but as these numbers cover essentially the same ground, I’d at least consider cutting “The Right Girl.” Both are highly theatrical “song and dance”, in the “Gotta’ Dance” school. Buddy should move very well, even be a dancer. You can insert some choreography into either number, but as they are both hard to sing, take it easy. “Loveland” is the start of a runaway train, a mini-opera of fantasy and neurosis. (This part of the show reminds me a great deal of Lady In The Dark, though both masters Sondheim and Prince would probably debate me. They would be wrong to do so, however. And frankly, this is the weakest aspect of Follies and the strongest of Lady In The Dark – a mini-opera displaying the inner neurosis of the characters.) Go for the fantasy, larger-than-life element, get some movement in to remove this from reality, make it dance somewhat. “You’re Gonna Love Tomorrow” / “Love Will See Us Through”, part of the runaway fantasy train, is performed by the two younger couples, the youthful versions of the leads. These numbers are pretty heartless, really, they are just fine displays of Mr. Sondheim’s ability to pastiche. But heartless. Stage them brightly, with well-integrated movement for the pairs. They should be able to dance some. “Live, Laugh, Love” and “Chaos” is the melding of fantasy/nostalgia/the past and the rather unhappy present. Walls and egos break down. The fantasy train runs headlong into Dr. Freud in what I think is the weakest moment in the show, the most painfully obvious, when Ben sings “Me, I like to love…me…” Yeah, we know this by now. And the thing is, Ben always knew it, he’s more than implied it throughout the show. There’s no revelation here, just a restatement of the obvious that really isn’t effective. Get through this part of the show, move it along, get some movement into it. Haunt those old people with ghosts that perhaps should make almost physical contact with them, close in on them, take their air away. The past should nearly take over the world, here. And then, it should pass away. You’ll need a very strong and capable Choreographer, very experienced, good working with non-dancing and the elderly. Ben – 50s-60s. Tall. Trim. Distinguished. Successful. Authoritative. A man bent on success from a young age who has achieved it and now realizes the toll it had on personal relationships. A dry sense of humor, which can be self-deprecating. Too pragmatic for his own good. Cast for acting, voice, type, some movement, in that order. Must be very strong. Sally – 45-55. Sweet-faced. Bubbly. Still remarkably like the girl she was thirty years ago. A former Follies girl, she married a man she didn’t love. Needy and delusional at times. Somewhat straight-ahead and humorless. Cast for voice, type, acting, some movement. Must be strong. Phyllis – 45-55. Stylish and intelligent. Her face is more beautiful now than it was thirty years ago. A woman who made her husband her life, the journey has hardened her and replaced the traces of life with cold sophistication and poise. Amusing and amused, but deeply embittered. Cast for acting, type, voice, some movement. Must be very good. Buddy – 50s-60s. A handsome, charismatic man with a sad face wrinkled from years of too much smiling. Stuck in a broken marriage and has had multiple affairs. A salesman type, always on the move, energized, desperate, sweaty. Cast for acting, voice, movement, type. Must move well. Must be very strong. Carlotta – Mid 40s-50s. One-time movie star, who is in terrific shape for her age. The kind of woman who has seen everything and is proud to be standing where she is today. Cast for acting, voice, type, some movement. Roscoe – An elderly showman with a majestic tenor voice who introduces the Follies girls as if no time has passed and they are still the beautiful young girls of years ago. Cast for voice, voice, voice, and type. He must be a true believer, there’s no camp in him. Solange – 65-75. A French fashionista. Very much still alive and enjoying it, she is a perfume creator and seller. Has travelled the world but loves Paris more than any other place. Cast for type, voice, some movement. Stella – Mid 50s-60s. A portly woman who surprisingly moves with a special lightness; half of a former performing duo with her husband, but they gave it up to open a general store in Miami. Loves life and has led a good one. Cast for acting,m voice, type, movement. Hattie – Mid 60s-70s. An appealingly tough, no-nonsense lady. A former knockout Follies girl from the earlier years of the shows. She has married several times and always to the same type: the bad boy. Cast for type, voice, acting, some movement. Wiseman – 70-80. An acerbic, vital, energetic man who looks fifteen years younger than he really is. Staged the Follies every year between the great wars, and made stars of any girl he wanted from the legions who threw themselves at him. Cast for type and acting. Young Ben – 20s. A not yet fully realized version of the man we see before us today, he is driven and intelligent but not quite so distinguished, and not yet frightened by his success. Cast for voice, type, movement, some acting. Young Sally – Late teens-early 20s. A younger version of the adult Sally. She is perhaps the most similar to her adult counterpart of any of the foursome. Petite. Sweet-faced. Bubbly. Adventurous. Wants it all, but may not have the patience or drive to wait for it. Cast for voice, type, movement, some acting. Young Phyllis – Late teens-early 20s. A younger version of Phyllis, when she was an energetic and naïve Follies girl. Slightly sad and homesick. With all the drive and none of the sophistication of the adult Phyllis. Cast for voice, type, movement, some acting. Young Buddy – 20s. A younger version of the Buddy we see today. Charismatic and lively, a man who knows how to have fun. Loves Sally blindly and wants to give her the world. Cast for voice, type, movement, some acting. Ensemble – All period types, or showgirl types. All should sing very well. Some may need to dance. The Ziegfeld Follies was the real thing, the largest, most expensive and extravagant shows of their day, featuring the biggest stars. The shows were well-funded for their time. Sets were grand, eye-popping, as were the costumes and the girls who wore them. Only the best comics and specialty acts worked for Mr. Ziegfeld. The best songwriters wrote for him. Garish opulence and top drawer professionalism was the hallmark of his shows. Your sets need to carry forward the Ziegfeld tradition. Do your homework, film and stills capture the grandeur of a Ziegfeld show. Essentially, Follies takes place on a single set, but what a set! It is the interior of a dilapidated theater, soon to be torn down. But in its day, decades ago, this was the grandest house on Broadway. Everything is still there, surrounded by crumbling brick and mortar…the dressing rooms, the staircases, the stage. And there are plenty of isolated corners where couples can meet, greet, talk, regret, “and lie about ourselves a little,” as Wiseman himself recommends. And so they do. This is a world of corners, dead ends, staircases leading nowhere, and shadows penetrated by ghosts from the past. The set is usually two stories, with a staircase or two leading up to where the dressing rooms are/were. It is “backstage”, a work light placed somewhere visible. The sense of fallen greatness, crumbling wonder, must be everywhere evident. And there must be room center to dance, and play. A large mirror will be needed for “Who’s That Woman.” The “Loveland” sequence usually demands a change in the set to a fantasy land that could occupy center before a drop (like a Ziegfeld drop) across center, of roses and hearts, or some such folderol. A design that must be haunting, real, mysterious, and highly functional. Only an expert designer should create this one. And then,there’s the memory of the Follies. First, the man himself, then…those beautiful girls! Okay, that’s the idea. There are thousands of photo and some film footage (probably on Youtube) you can use to study the period. Some of this can be rented, some will need to be built. The modern day stuff can come from closets and off the rack. A creative job for a very good costumer. There’s likely to be a number. Get a capable Prop Master, as the period of time displayed must be right. A big job. The past and present must be divided as to look. The past must haunt the present, and perhaps vice-versa, implying shadows from which people emerge. Moods must change quickly and convincingly. “Theatrical” displays can use spotlights and such. “Life” must feel more life-like and real. A job for an expert Designer. The oldsters are made-up to their best ability to look, well, um, young. The ghosts that haunt them are beautiful, idealized. An interesting assignment for an experienced Make-Up designer. Director, Musical Director, Choreographer, Set Designer, Lighting Designer, Costume Designer, Ben, Sally, Phyllis, Buddy. A HUGE show. And did I mention that this is a HUGE show? Okay, because this is a HUGE show. You probably can’t do it. If you’re wondering if you can do it, likelihood is you can’t. If you have a lot of older actors swimming around in your talent pool, throw them this life preserver. You won’t be sorry if you can pull it off. A Producer’s dream if you can coax from retirement some older and marketable song-and-dance stars, like Madonna. Oooh, that was cruel. As, well.